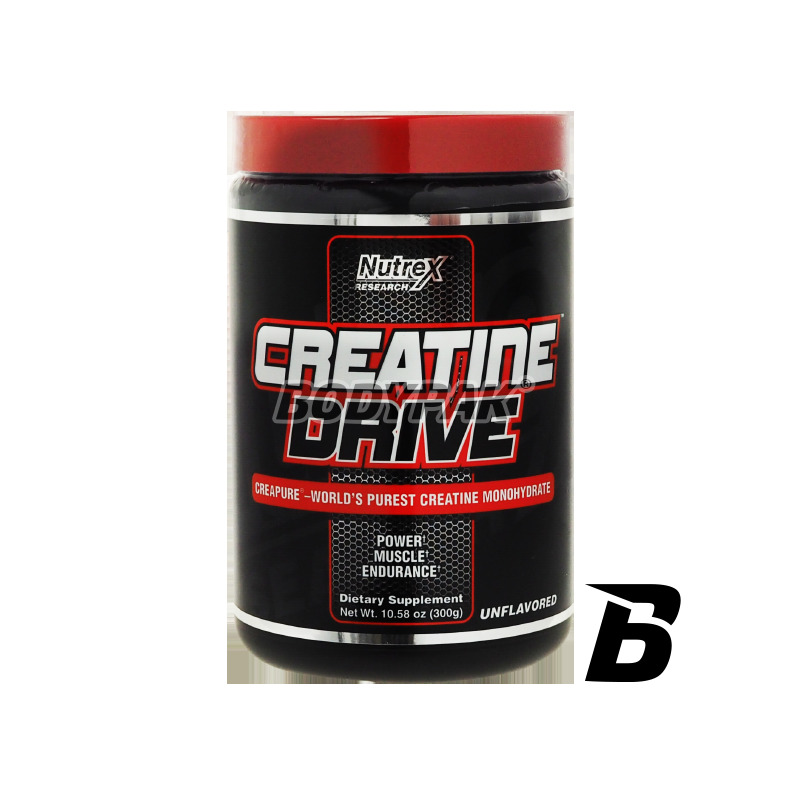 Creatine Drive Black is heavily concentrated creatine formula! It contains highly purified form of creatine - Creapure. 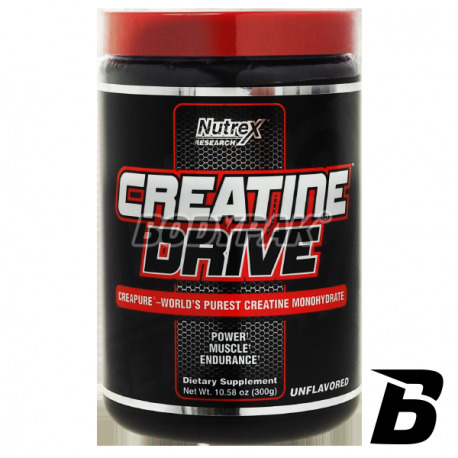 Nutrex Creatine Drive Black is the highest quality micronized creatine monohydrate. Creatine is an important source of energy for muscle contractions. Sufficient supply of the body in this component is very important especially for representatives of the sports in which the decisive role played by the strength and dynamics. Creatine has an indirect impact on the growth of lean muscle mass. ATP (adenosine triphosphate) is the energy source for all muscular contractions (muscle building). Energy is produced when ATP releases its phosphate groups (ATP then becomes ADP). Creatine phosphate returns back to ADP, resulting in the renewal of ATP and thereby restoring the resources ATP. This way you are able to train harder, longer and more efficiently. The use of creatine can increase your strength and performance. It can help build lean mass by expanding the size and hydrating muscle cells, thus creating a necessary anabolic environment for growth. Micronized creatine in improved absorbability and effectiveness in the area of ​​water and electrolyte. Składniki: Creapure 100% monohydrat kreatyny. Siła mięśniowa wzrosła niesamowicie po miesiącu stosowania - jestem bardzo zadowolony z zakupu! Jak skończe to kupuje od razu następną puche. Nie chce już żadnej innej firmy! Kreatyna w wersji Creapure - znacznie lepiej sie przyswaja, co jest odczuwalne już po kilku tygodniach suplementacji..